Madeira, Sicily, Crete, Cyprus, Morocco..
Did it ever happen? Mini-me threw the plans around so either I wait or either I make it a long weekend with 2/3 rides. Have visited Lisbon but want to explore Portugal more. Same. Love planning stuff like this. Will probably end up just rebuilding an old bike tho. Look up split ticketing and get a railcard. Yes and only good things to say about it. Do it! Could get it down to £90 for 2ppl by adding a day. No, this includes travel - it's a bloke in a minibus with a trailer, and the bikes go in the back. You can find discussion of various people's experiences on the CTC forums IIRC. The major downside is that it involves pick-ups and drop-offs in desolate industrial estate car parks a fair way away from train stations at (by my reckoning) slightly inconvenient times, but by all accounts if everyone in a group is going the same way the drivers will sometimes drop you off somewhere more convenient. Yeah, it's more that for me I couldn't easily get there in time for the morning slot, which would mean shelling out for accommodation in Folkestone (that jewel of the South Coast...). Still, the advantage is it gets you to France in time for a solid day's touring. Yes, I used it last year at the start of my cycle to Athens and back. It's a great service and such good value. They pick you up in a minibus, stick your bike in the back, then drive onto the train. At the other end they drop you off at a car park in France. 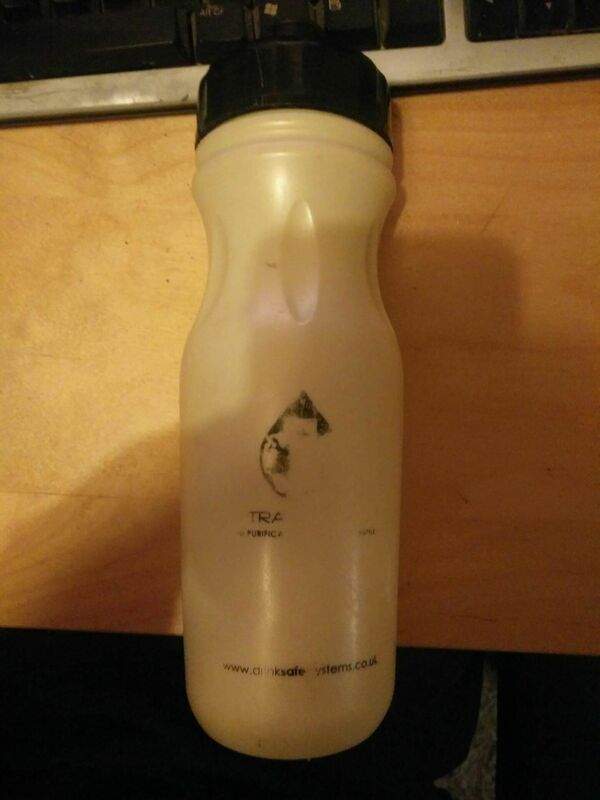 Anyone want a water bottle with built in water filtration for free? TransCambrian way 15/16th of June?